Nutmeg Notebook Mexican Fiesta Cooking Class. You are going to love these recipes! (Clock wise starting from the top left.) Learn how to make oil free corn tostadas and corn tortilla chips, Tami’s Easy Red Salsa has been updated with a new twist which is big on flavor. It is nearly impossible to find a commercially prepared salsa that is salt, oil and sugar free. Now you can make your own at home in minutes. Instant Pot Taco Lentils – so many different ways to enjoy these tasty and man pleasing lentils. Dreeen Burton graciously allowed me to share here White Bean Quacamole – it is down right amazing – your family will swoon over it. Chili Lime Jicama is a fun appetizer or snack – so simple yet satisfying and it plates beautifully. Banana – Mango Lime Nice Cream is one of our favorite desserts – our son says it doesn’t taste legal – it’s that good. After much experimentation I came up with a vegan Jalapeno Queso Sauce that we can’t get enough of. It is thick and creamy and you can make it mild or as spicy as your taste buds can handle. You will find yourself putting it on just about everything! Cilantro Lime Brown Rice rounds out the Fiesta – the perfect side dish or as the base of a burrito bowl – you need this in your life. Katy’s Refried Beans – inspired by the recipe from Prevent & Reverse Heart Disease cookbook – our daughter Katy and I have simplified the making of the best tasting refried beans we have ever eaten. Seriously I could eat these every week and never get tired of them. It will become a weekly recipe in your house too. Make a batch of the baked tostada shells and keep them in a covered container so you can whip up some healthy Mexican food in minutes. Top the tostado’s with Instant Pot Taco Lentils or Katy’s Refried Beans, Jalapeno Queso Sauce, one of the salsas, shredded lettuce, green onions, fresh cilantro and freshly squeezed lime juice. I love the crunch! Daughter Katy taught me how to make this insanely easy but flavorful Salsa Verde. You will never buy store bought salsa again! In the center photo is a Burrito Bowl that I created from left overs from the Mexican Fiesta menu items. We like to have a big bowl of shredded lettuce and a big bowl of corn on the buffet as well. It can be frozen corn that you simply heat up. If you have more time you can make Corn on the cob on the grill or Air Fry Corn on the cob and cut it off while still hot – squeeze fresh lime juice over the top and enjoy. If you struggle trying to figure out what to make for family and company who are not plant based then you need this class and these recipes. 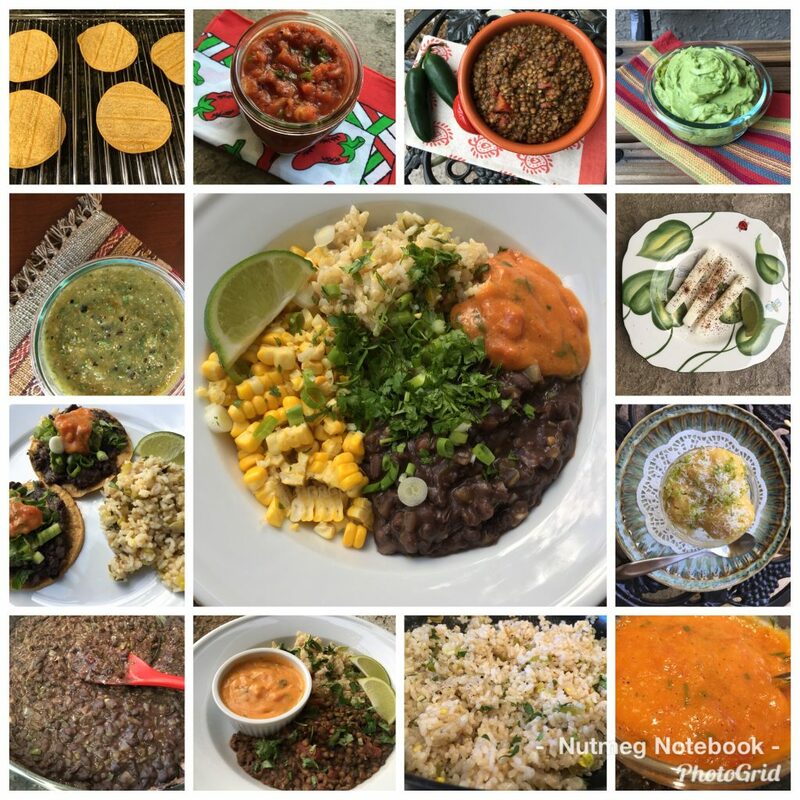 I had no idea it was this easy to create amazing whole food plant based Latin American food – but guess what – it is and I share with you just how easy it is. If you struggle trying to figure out what to make for family and company who are not plant based then you need this class and these recipes. I find that ethnic food is really easy to serve to those who eat the standard American diet. There are so many amazing flavors, colors and textures in these foods that no one misses the SAD (standard American diet) food. The recipes included in this class make for a complete meal that you can set up buffet style for any type of event. We even did this for a holiday get together in December. You know what – everyone loved it! The recipes are not only for entertaining they are recipes that you will want to make on a regular basis for your own enjoyment as well. You can freeze leftovers in individual portions for future “fast food” meals. 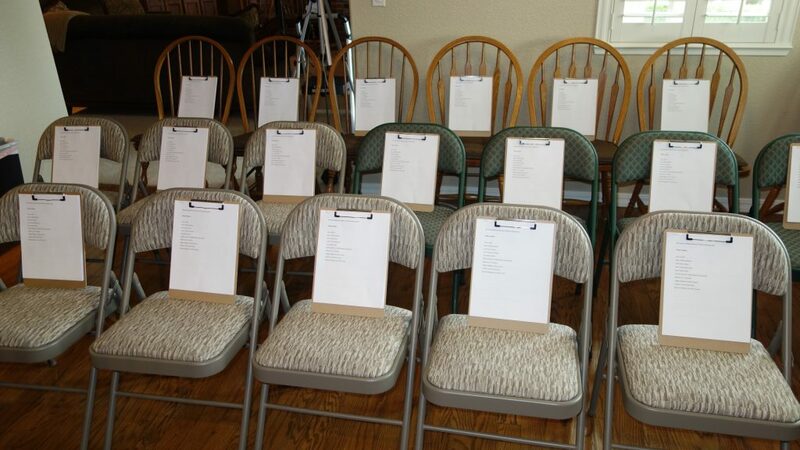 Your seat at the Class is ready and waiting! Click on the link below to sign up for a Nutmeg Notebook Cooking Class Account and purchase the cooking class. Nutmeg Notebook Mexican Fiesta Class. The Cost is $9.95 and allows you access to the cooking class video and you get a downloadable and printable PDF containing all 10 recipes. You can watch a short preview of the cooking class and when you are ready to purchase it follow the on screen instructions to set up your viewer account. You will receive an email notification confirming your purchase. This will be immediately followed by another email with a link to view the class video and download the recipes. The PDF attachment file will be located below the video. I do suggest that you print the recipes prior to watching the video so you can take notes if desired. Be sure to save your account log in information and password so you will have access to future classes as they become available on the Nutmeg Notebook Class site. Be sure to check out our Nutmeg Notebook You Tube Channel for many free cooking videos. Nutmeg Notebook Facebook and Nutmeg Notebook Instagram. There isn’t but I could tell you how to make them on the stove if you decide to purchase the video! 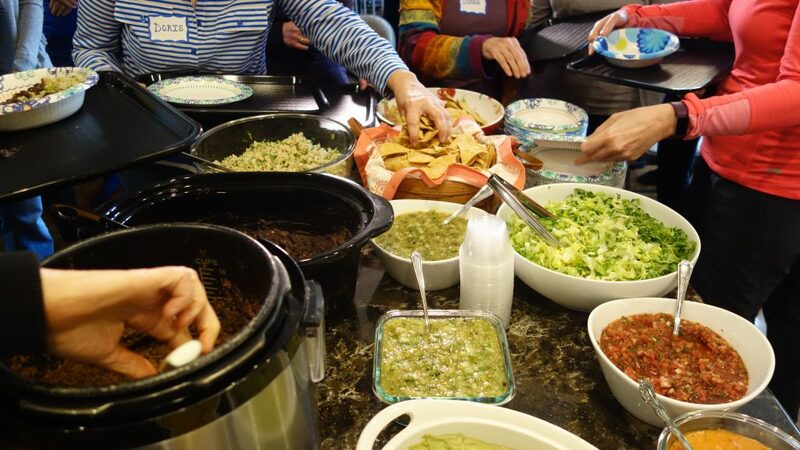 Hi Tami – I purchased your Mexican Fiesta Cooking Class back in May. I have the recipes and know we had 30 days to watch your video. Is there any way I could watch the video again? The recipes for the Mexican Fiesta look so delicious. How do I purchase the Mexican Fiesta Cooking Webinar? There is a link in the blog post but I will give it to you hear as well. Thank you for your interest in it. The recipes have been getting great reviews! https://nutmegnotebook.yondo.com/ Enjoy!